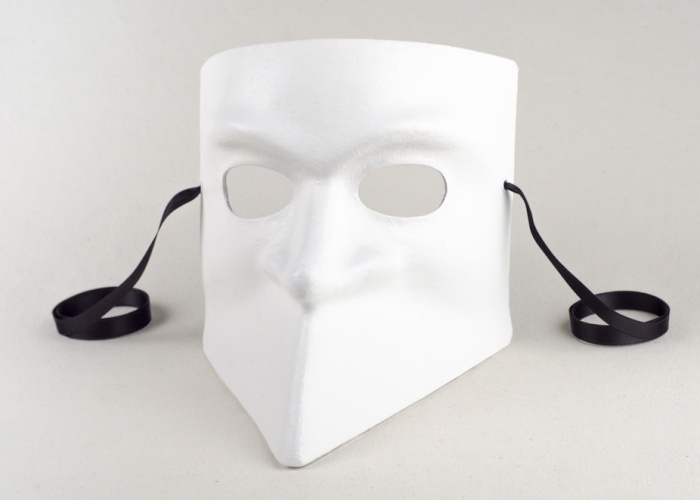 Bauta - Classic Venetian mask. The Venetian bauta mask is presented here in its classic form. Made from real cartapesta in pure white just as it appears in classic depictions. This mask is comfortable to wear and breathable. Perfect for wearing with the classic tricorn and satin hood which complete the bauta costume (see below). Made from paper mache, painted in acrylic, with a wax finish or water-based gloss.